This product is a digital version of the game Planescape: Torment, which means that after your purchase no physical version of the game will receive. 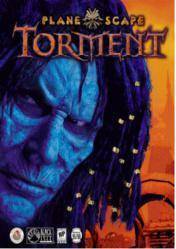 The store where you will purchase it delivery a cd key or download link to download directly the Planescape: Torment. It is a fantasy RPG of 1999. This title can be downloaded directly from the official download platform like Steam or from GoG games, depending on the store where it was purchased. Meaning you will receive a cd key of Planescape: Torment in your email that you must activate the corresponding download platform (look at each store for more information about downloading). From Gocdkeys we offer a price comparison for the cd key of Planescape: Torment in the best digital games stores available. The following stores appearing in the comparison have been and are periodically checked by our team, we guarantee they are 100% reliable. Also, you will see an assessment of the same based on feedback and experiences of our users to help you decide where to buy your Planescape: Torment cd key the simplest, quickest and easiest way.